There are two essential ingredients to enjoying the great outdoors. First, you need a place that has something to special to offer—let’s say a lake filled with rainbow trout that won’t stop biting. Second, you need to be able to access that place—by road, for instance. Well, it turns out that accessing lakes isn’t always as easy as you’d think. Even if the lake you’re trying to get to is Crown property, it’s possible someone might want to restrict access to it—as was the case for decades with two lakes in B.C. 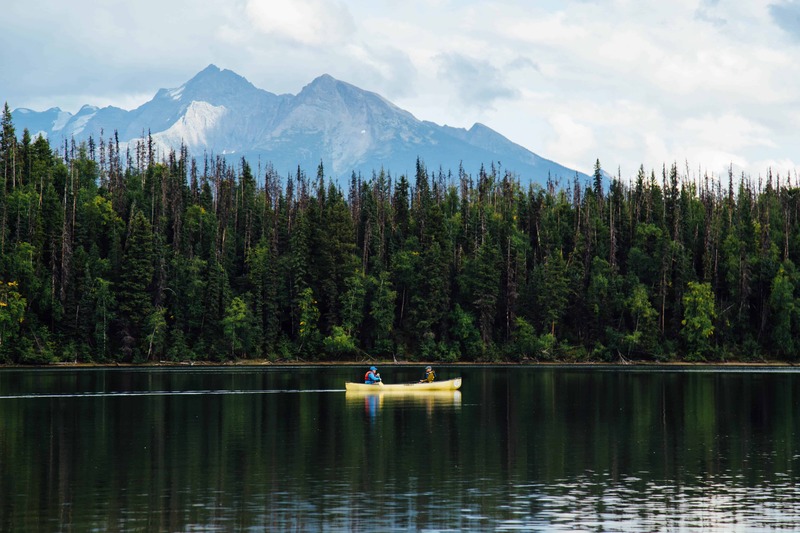 A recent ruling from the Supreme Court of British Columbia could set a precedent for restoring the public’s access to Crown waters. A January 2019 feature in Maclean’s outlined a decades-long saga about Stoney Lake and Minnie Lake—both Crown-owned lakes in the B.C. interior that had been cut off from public access for 30 years. Minnie Lake in particular had been a popular destination for fishing in its day, filled with rainbow trout and an ecosystem that allowed the fish to flourish. Ongoing disputes about access to the lakes over the years led to the RCMP arresting overeager fishermen for trespassing, and the Nicola Valley Fish and Game Club petitioning to have Stoney Lake Road opened to the public. Douglas Lake Cattle Company maintained that Stoney Lake Road was private property, and ended up suing the Nicola Valley Fish and Game Club and the province, which culminated in December with a ruling from the B.C. Supreme Court (Douglas Lake Cattle Company v. Nicola Valley Fish and Game Club, 2018 BCSC 2167). In a judgment issued on December 7, 2018, Justice Joel R. Groves found that Stoney Lake Road is a public road and ordered the gate unlocked. Groves also rebuked Joe Gardner, manager of Douglas Lake Ranch, for failing to comply with a letter from B.C.’s district highways manager asking that the lock be removed. But Groves leveled even more blame at the province for failing to ensure the road remained open in the first place. “As critical as I am of Mr. Gardner, greater criticism may be leveled at the Province for its absolute lack of action in maintaining their property and enforcing the public good against a determined and bullying corporate entity and its manager,” Groves wrote in his judgment. Groves also questioned why the province would maintain its ownership of Stoney Lake and Minnie Lake while allowing a private landowner to cut off access to both. “It would be nonsensical for a government to retain the rights to a lake if, by virtue of a single owner purchasing all the land surrounding a lake, that owner could prohibit public use or ownership of the lake. It only make sense that government would have retained the ownership of bodies of water, lakes, with the intention of the public being allowed to access water they retained,” he wrote. The Douglas Lake Cattle Company has appealed the decision of Justice Groves, so the issue will continue to make its way through the B.C. Courts. If you run an outdoor/adventure business on Crown land, Justice Groves’s ruling is especially significant. Should you ever find yourself in a situation where a private landowner is attempting to cut off access to your business, you have legal recourse, and the lawyers in the MLT Aikins Outdoor/Adventure group would be happy to discuss your options.